Well, if you want to feel better here are some funny and creative interview questions and answers. When the hiring manager called the candidate, she asked him to bring several copies of his resume and three references. He called back an hour before the interview and asked to reschedule, saying his references couldn’t come with him to the interview. When asked about her greatest job skill, the candidate said she was most proud of her computer illiteracy. 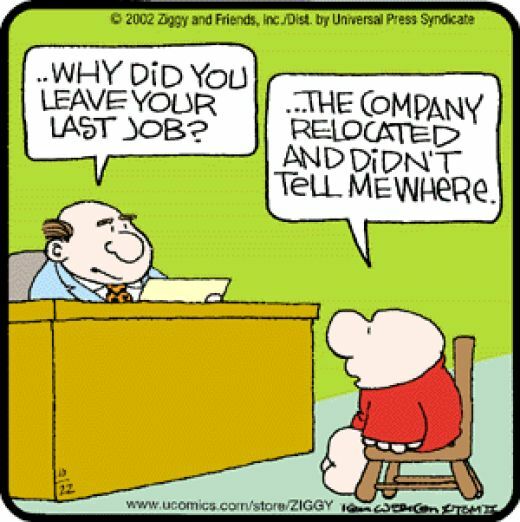 If you still need to feel better click on That Was Funny and Creative Interview Questions for more laughs. How To Answer "Would You Be Willing To Take A Salary Cut?" hey…………..!!!!!!!! thisssss really awesome dude.!!!!!!!! There were really a funny responses thank you for sharing this article and on similar note recently i have came across this very interesting and yet important article which will be helpful in interviews because now a days interviewer asking these type of questions, i hope you will find this helpful too.